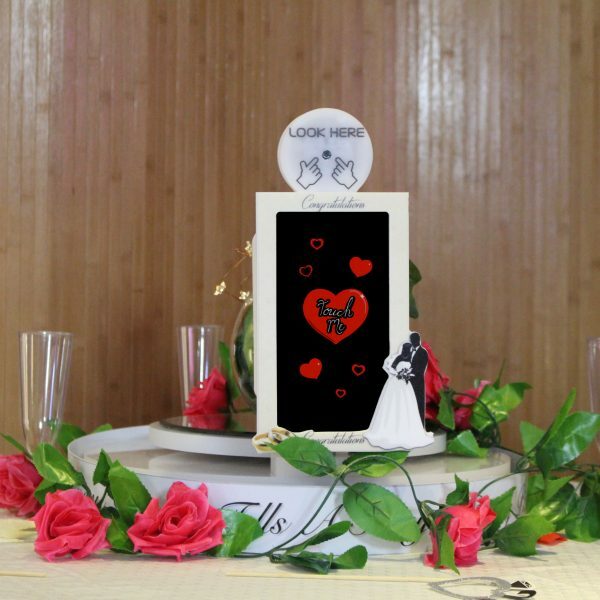 Brand new to the market and exclusive to Photobooths, the Table Selfie is the upcoming “must have” table centre piece for Weddings and other occasions. Say goodbye to disposable cameras, and say hello to Table Selfie! 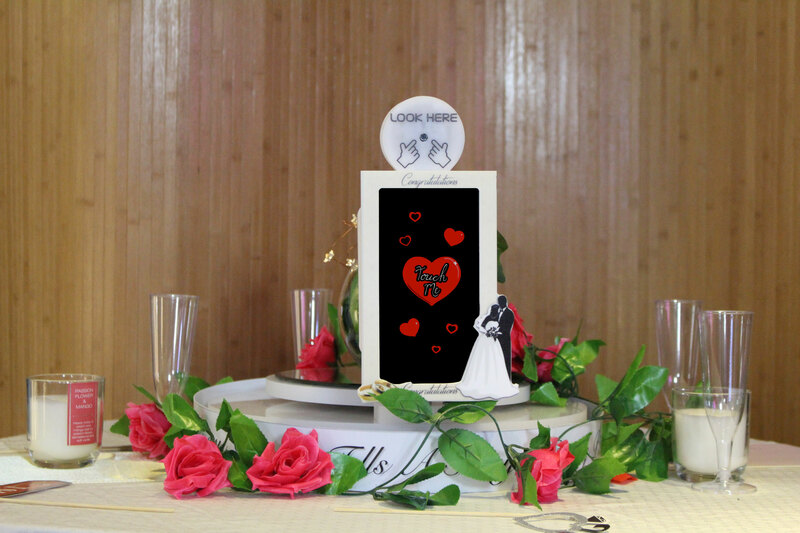 Table Selfie has never been seen before in the photo booth market – it’s like putting a mini photo booth on every table! Find out more in our description below. Spin the Table Selfie™ to your direction, then trigger the in built camera via sleek touchscreen. Once your photo is taken, save the photo onto your phone via QR code, discard the photo, or print the photo wirelessly. All photos can be branded to suit the event with backgrounds, logos and messages. Table Selfie™ can be used on multiple tables in a room or hired singular for the main top table.